If 29th President of the United States Warren G. Harding had lived long enough he may have liked San Francisco. With his penchant for poker and cronyism, the Ohio Republican who was elected by a wide margin in 1920 may have fit right in. Did I say Ohio Republican? Scratch the invitation. 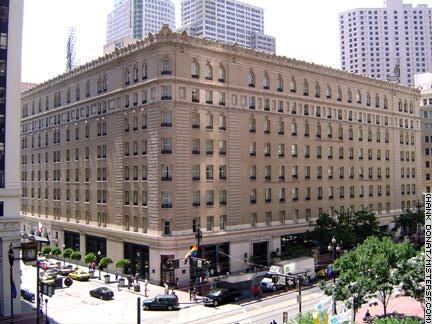 Harding died at the Palace Hotel in San Francisco on August 23, 1923 under circumstances that began as mysterious and were then varnished by rumor in the aftermath of scandals and salacious revelations that surfaced following the president's demise. History remembers Harding as weak and ineffectual. He is consistently listed among the worst U.S. presidents if not as the worst one. Harding knew his administration was a leaky boat at the time of his death two years into his first term. A serious economic depression for the farming industry and murmurs of graft in his administration prompted Harding to begin a public relations tour. Returning to the western United States after appearances in Alaska and Canada, Harding received a lengthy message, in code, reportedly regarding the looming Tea Pot Dome scandal. Harding's Secretary of the Interior Albert B. Fall had leased three naval oil reserves including Tea Pot Dome in Wyoming to private oil companies without bids in exchange for a bribe. A Senate investigation would bring the entire affair to light. Famously, the message made Harding physically sick, though it is also reported that Harding's health became poorer as the tour progressed and still other records say that Harding became ill with ptomaine food poisoning after sharing a meal with his entire entourage. No one else in his party also got sick. He also suffered from high blood pressure and had other health problems. The ailing president arrived in San Francisco and to the Palace Hotel where he died either of anxiety, a stroke, a heart attack, food poisoning, or from deliberate poisoning by First Lady Florence, fed up with her husband's philandering. The legend continues that Mrs. Harding's psychic had, on the eve of his nomination, predicted the president would die in office. The fact that Mrs. Harding refused to allow an autopsy of the president contributed to suspicion of her. A book was published in 1930 that detailed the case against the First Lady. The official cause of President Harding's death is listed as a stroke. In a contemporary book, The Strange Deaths of President Harding, historian Robert H. Ferrell lays out the facts behind these allegations and makes the following conclusions: It was a heart attack that caused Harding's death, not poison. Harding did not know much about the scandals looming in Washington D.C. at the time of his death. There is no proof of an illegitimate child, the existence of which has been said to have driven Florence to the crime. Ferrell asks for a reexamination of Harding's place in American history. In the wake of Teapot Dome, Secretary Fall resigned and joined the oil business with Harry F. Sinclair, one of the illegal lessors. Fall was later convicted of accepting a bribe. He was the first Cabinet member to go to jail for crimes committed while in office. Florence Harding died of kidney disease in Ohio less than two years after her husband's death. In spite of the fact that a sitting U.S. president died and may have been murdered here, the exquisite Palace Hotel makes no special recognition of Harding's death at its location on New Montgomery Street.